Why am I posting the day of rather than morning after? Because THE SPIKE LEE retweeted my post about joining the NOFA-NY Locavore Challenge!!! I am on cloud nine. I suppose this puts me in “fan girl” territory, but I consider Spike Lee among a handful of film auteurs—foreign or domestic—whose work I truly admire and respect. This is a man with a vision and a true devotion to the “local” scene. His films are by and large about Brooklyn (or NYC), and he employs a ton of folks at his Fort Greene studios. I am always excited when he films, but I never really expected him to see my Twitter post, let alone retweet it. If even one person signs up for the Challenge as a result, I’m so thrilled. If even a handful of people become aware of the locavore movement, ditto! Where I Soared? Um, are you kidding? Okay, I didn’t really go for the greens, but that was because all I had on hand was arugula, and that doesn’t really qualify. And I ate local all day long. Where I Sunk? Picky picky. Didn’t eat my kale. The last of it went to the pet herpavore. My Grade? Two words: SPIKE. LEE. Booyah! I’m giving myself an A+. Oh, yeah. Go see Red Hook Summer. 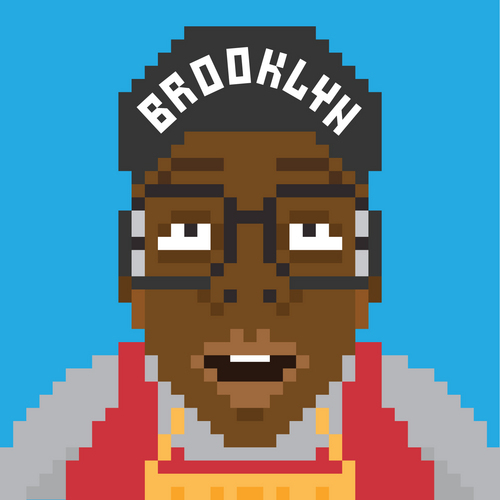 Tags: NOFA-NY Locavore Challenge, Spike Lee, Twitter. Bookmark the permalink.